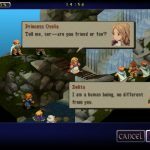 Final Fantasy Tactics finally makes an appearance on the iPad, nearly five months after it launched on iPhone, where it was welcomed with loving arms although criticised for having far too many bugs and problems. Many of those problems have since been fixed with updates, so hopefully this iPad edition will not only come with everything patched but also add extra value for money. Well, it does a good job of fixing all the old problems, and the game really does benefit from the bigger screen of the iPad, but as this isn’t a universal app, I just can’t recommend it to people who already own it on iPhone, as there hasn’t been an awful lot added, even the promised high res characters, and the game is almost prohibitively expensive in this regard. However, if you waited patiently for the iPad version, or have only just discovered the game, then you are in for a treat, as this is a truly fabulous game. 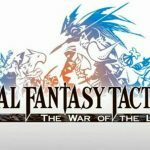 The War of the Lions is a tactical RPG of the highest order. 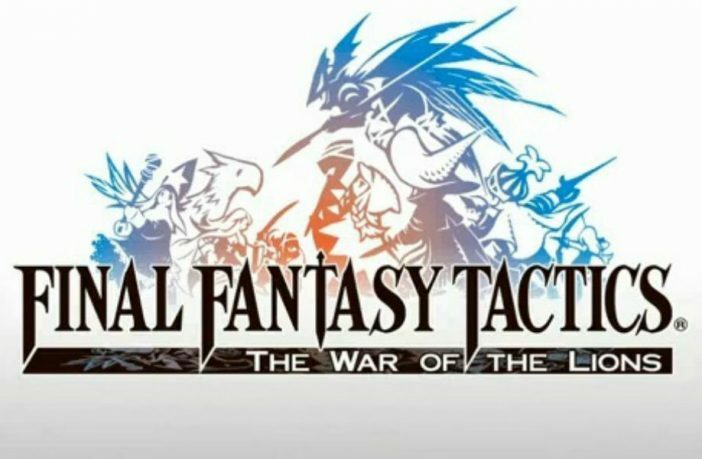 Viewed and played from an isometric angle, although you can spin and zoom in on this on iPad, the game has such a deep tactical battle system that has won it a legion of fans on every platform it has graced. Combine this system with great RPG elements and an involving story, and you have a true classic game. 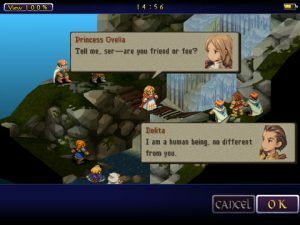 This is essentially a port of the PSP version of Final Fantasy Tactics, so you get a lot more story and some lovely cut scenes for your money. The cut scenes in particular really stand out on the iPad’s big screen, with eye popping colours and attention to detail. Likewise, the rest of the game looks great, although the characters could be a little clearer, which Square say will be fixed in a future update. The best thing about battling around Ivalice on the iPad, however, is the fact that the user interface now makes far more sense and is far more usable with all that extra screen real estate to play with. The game really does feel at home on iPad, although again I must stress that I wouldn’t recommend owners of the iPhone version re-buy this unless you have a load of spare cash or really want the true experience. The game does feature a couple of bugs, which is a big dissapointment. I had the game crash on me twice, and there can still be some very minor and occasional slowdown on the more intense spell effects in the battles. It doesn’t ruin the game by any means, and I am thankful that there are no problems with the text, but it is a shame that this still isnt perfect, despite all of the time that has bee spent on it. We have heard rumours that Square have literally one guy working on these conversions, which tells its own story. This is still a brilliant game that will draw you in like few others into its complex web of story, tactical battles and beautiful graphics. The game is extremely expensive at $22.99, but I have to be honest and say that, you will get your money out of this one, as it is possible to sink a hundred hours into the game and still want more. Although this release is tinged with the disappointment of still requiring future updates, this is still an outstanding title that is worth the investment – if you haven’t already paid for the iPhone version, that is. 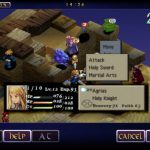 Check out our reviews of Eve of the Genesis, classic Spectral Souls and action RPG Earth and Legend!